Since the first time I used this water, a lot of questions and curiosity have emerged right in my mind. 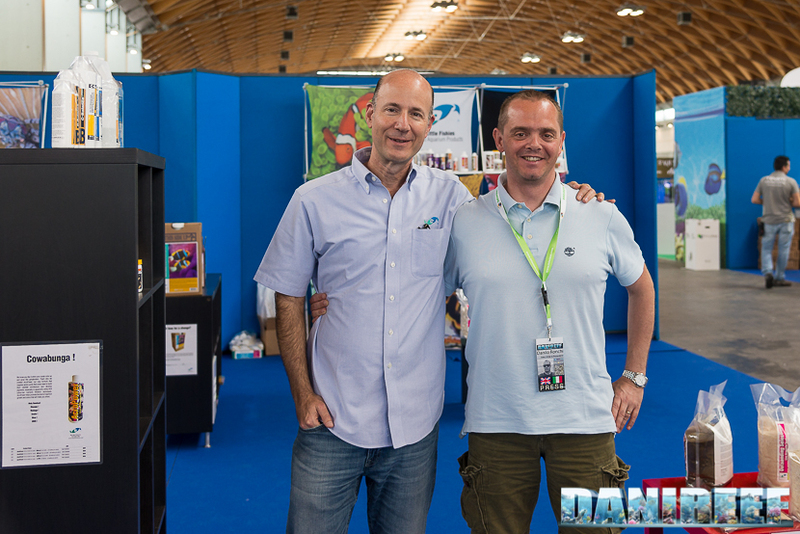 I met Julian during PetsItaly Mace in Rimini, after his conference, I asked him a few question about his water, but we had not enough time to deepen this theme at his booth. With the intention to write down an article, I contacted him with some emails to go into details and he proudly accepted to answer to all my questions. In the first part of this article are reported Q&A of our emails. HkK: I was looking for other reviews on the web, before writing down this article, about AccuraSea NSW, but I couldn’t find anything: why? J.S. : We have very quietly introduced the product. It’s a new technique in sales. When a product is so good you don’t even need to promote it, it sells itself. HkK: If I’m not mistaken AccuraSea NSW is the first water of its kind, is this correct? J.S. : No, actually there are two other manufacturers selling natural seawater in the same type of package who introduced it earlier than we did. However they sell a product with things added to the water, while ours is without any additives and is sterilized to preserve the natural composition indefinitely. HkK: I started using this water three years ago. At first I was scared of using “syntetic” natural sea water, but after a few tests I noticed that my 160 litres tank preferred water changes with AccuraSea NSW. Previously I prepared water changes with self-made osmosis water and I tried different kinds of salt, but none of them was like your water. J.S. : Yes most of the synthetic seawater salt mixes have a composition that is enhanced… different from natural seawater in several ways. 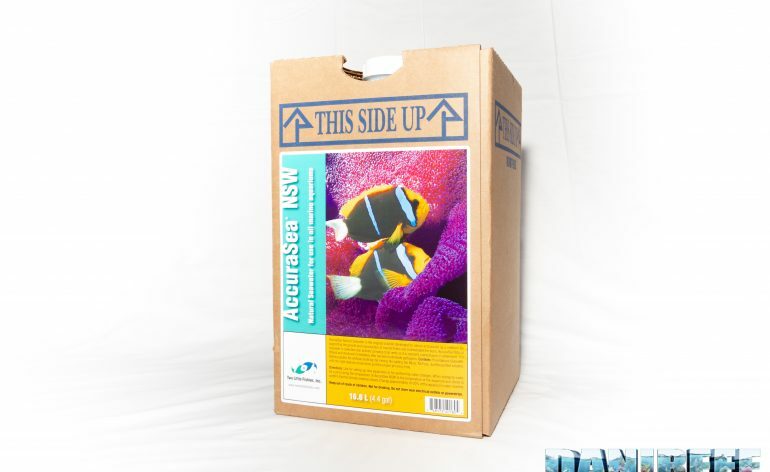 With AccuraSea NSW you have the original composition that marinelife is accustomed to. I’m not sure what you meant by the term synthetic natural seawater. There is nothing synthetic about AccuraSea NSW. 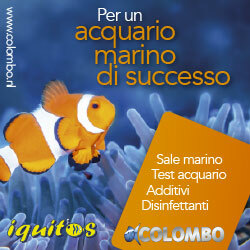 It is simply natural seawater that is micron filtered and UV sterilized to eliminate any pathogens. 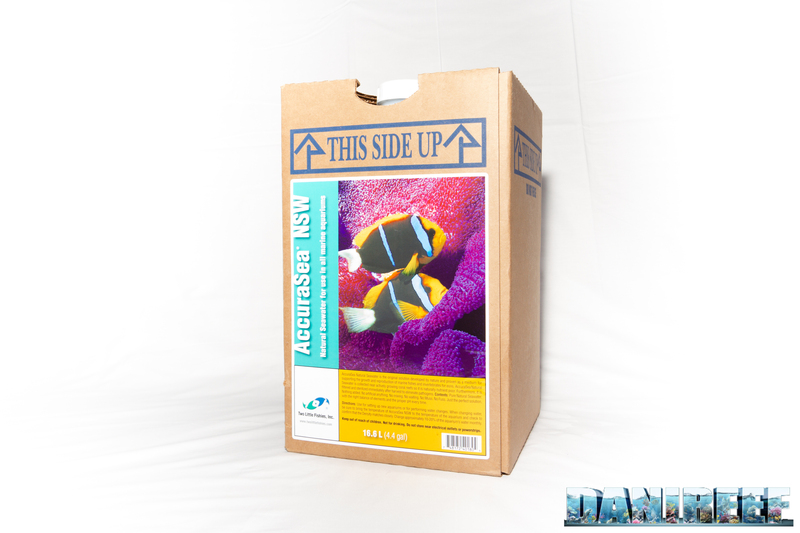 We have, by the way, recently introduced our own synthetic seawater mix, called AccuraSea1, that is modeled after the composition of AccuraSea NSW. We produce the salt mix here at Two Little Fishies as well. HkK: In Italy, here in Turin, many shops suggest your water, and I suggest it as well in our forum, but I don’t understand why I can’t find any review on the web. Maybe I wasn’t able to find them? HkK: Do you always collect water from the same site? If yes where? J.S. : Yes, we collect the water in the same location. It is a place in Miami where at certain times a clean blue Gulfstream seawater surges in with the incoming tide. This seawater has a high salinity because it is not influenced by freshwater runoff from the land. I have been collecting seawater at this location for nearly 40 years now, and so have many other aquarium hobbyists in south Florida. HkK: What kind of procedures do you apply to the water from the sea to the 5 gallons tank? J.S. : When natural seawater is collected it contains phytoplankton and zooplankton. These are of course wonderful forms of life that can be considered a food source for the invertebrates in our aquariums, but they die within a few hours if the seawater is not vigorously aerated. If they are allowed to die in the water this adds dissolved ammonia and phosphate, and some organic substances to the composition. To avoid that possibility, we immediately filter the collected seawater with a series of 5 micron cartridges, followed by a pass through an ultraviolet sterilizer. The water is filtered this way within 1 hour of being collected. As a result, the water is extremely low in dissolved nutrients, and there is no chance of any pathogenic organisms being present. The micron cartridges are changed for each batch to avoid contaminating the seawater with the trapped plankton. The filtered seawater is stored in a 2500 gallon HDPE tank and then filled into the 5 gallon containers. All of this is done at Two Little Fishies in Miami so we can control the process. HkK: What kind of test do you carrie out to the water and how often? J.S. 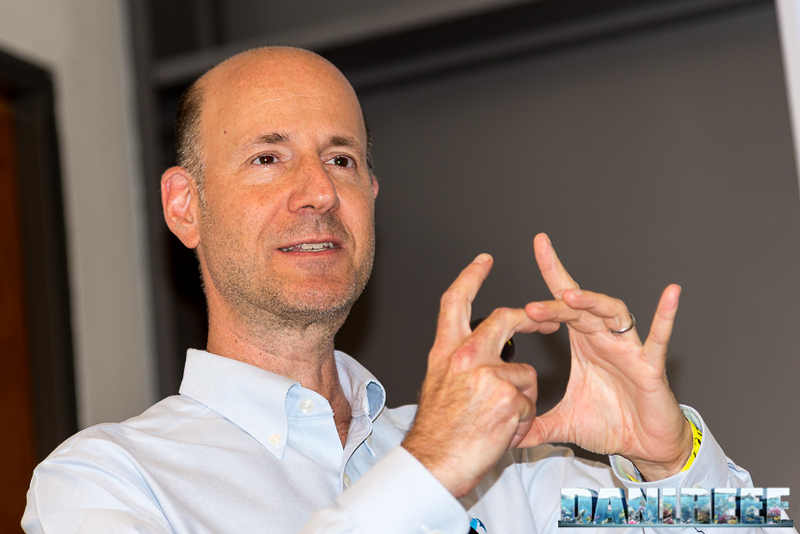 : We have done several Triton Tests and the results do not vary, which is what one would expect for natural seawater that is not influenced by coastal effects. We check the salinity of each batch to make sure that there is no coastal influence. There have been a few occasions where we would not collect the seawater because extreme weather had an influence on it. For example, after the recent Hurricane Irma we could not use the seawater for a period of more than a month due to lower than normal salinity combined with high turbidity. You can find the end of the interview and our review here. Never as in this case the price / quality ratio can be misleading. Quality at the highest levels and high price are hard to judge. Read our two pages to understand it.